Greeting from a late, overcast afternoon in San Juan, Puerto Rico. It’s actually been a very pleasant evening (a great way to end a LOOONG day). 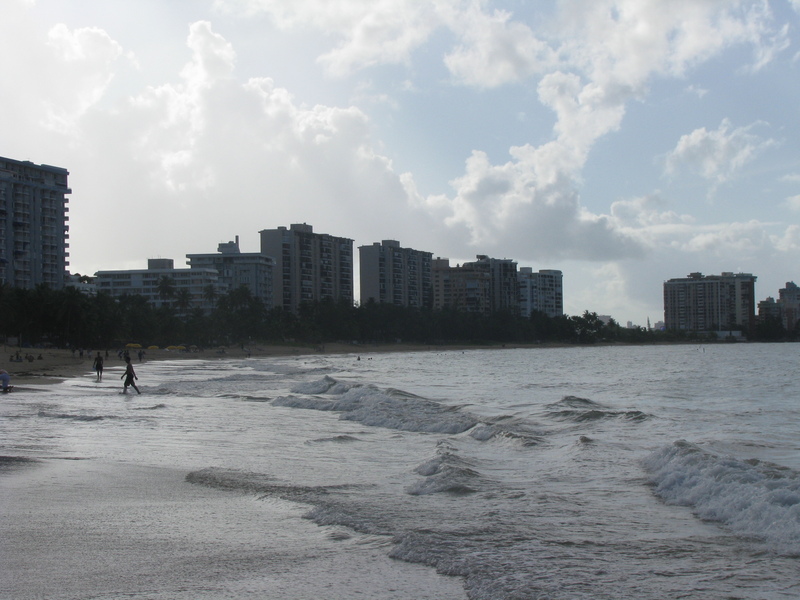 Breeah and I munched on typical Puerto Rican cuisine (I had mofongo) and we walked through the Isla Verde area. I’ve survived a short stint at driving here – it’s nice to get a spin under my belt. Tomorrow it’s off to Old San Juan! I can’t wait – we saw El Morro on the flight in and look forward to taking in the sights and sounds (and colors) of the old town. Hope the drive isn’t too insane! Much more on the trip next week!